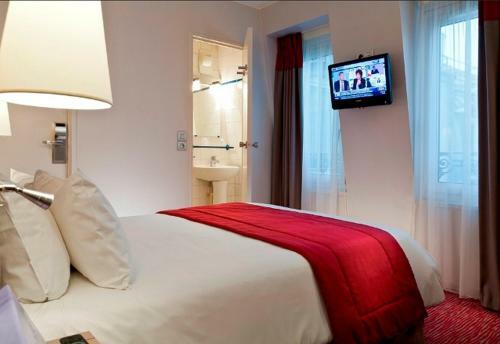 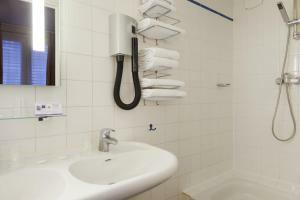 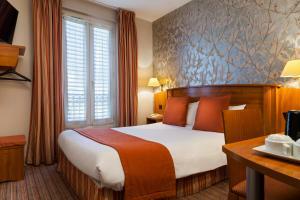 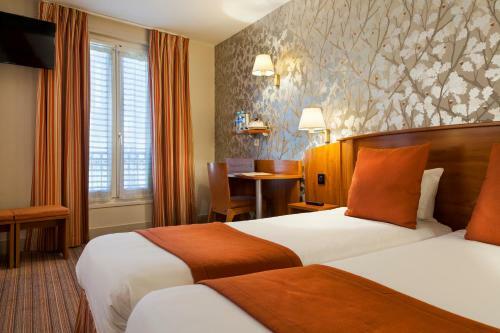 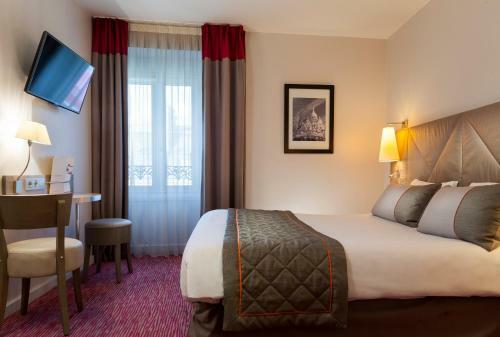 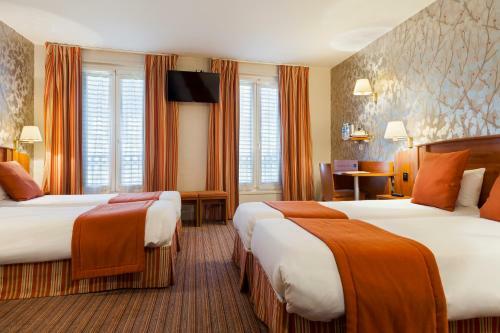 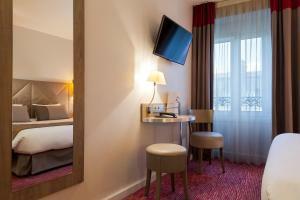 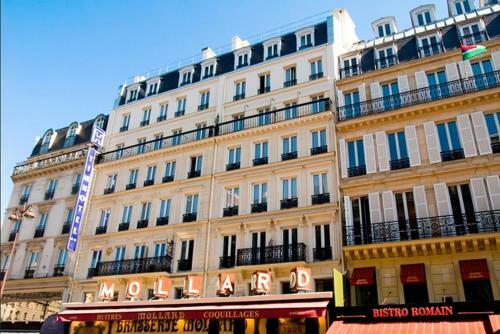 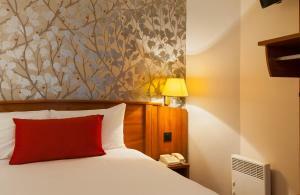 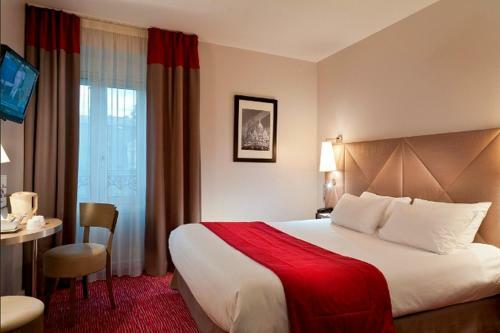 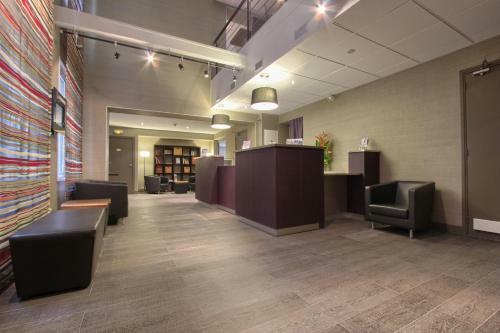 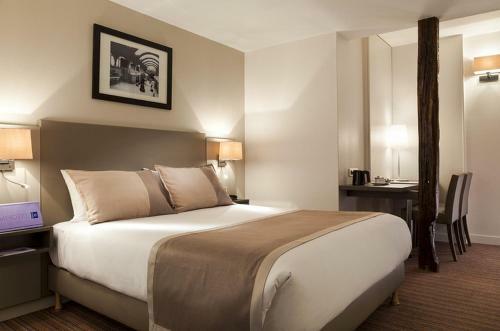 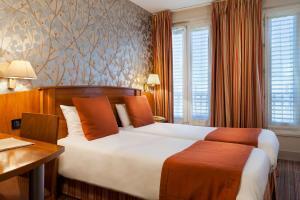 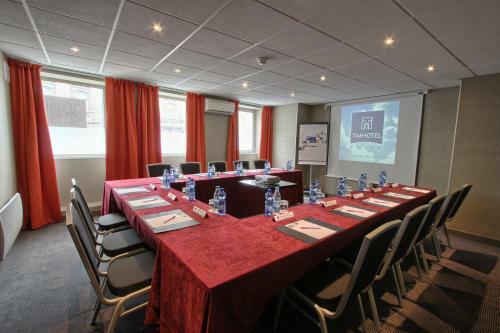 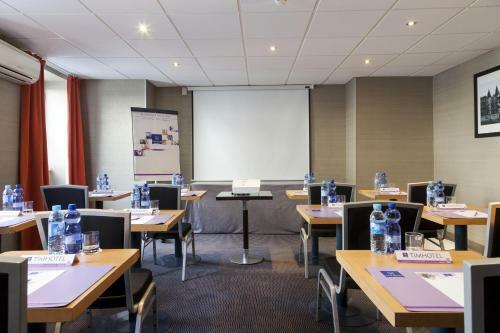 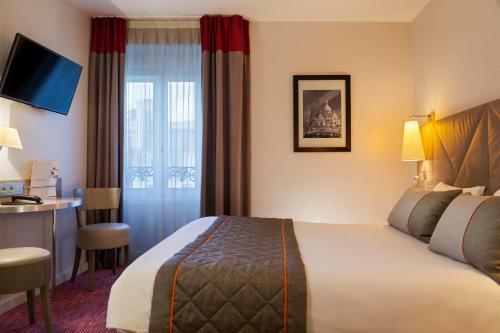 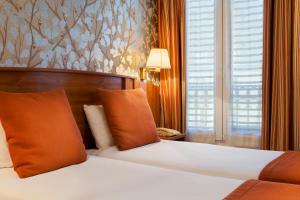 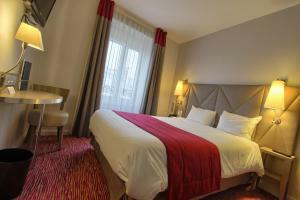 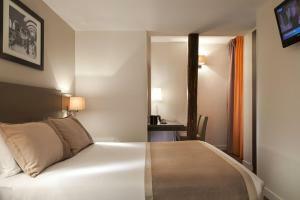 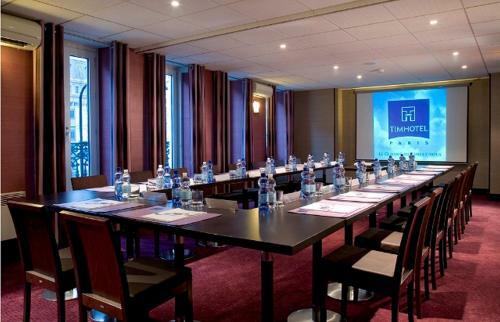 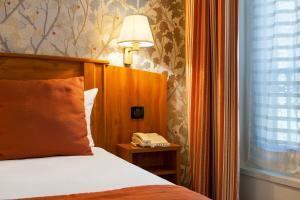 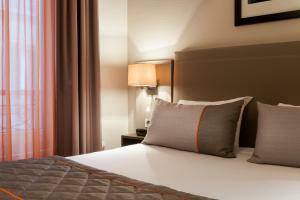 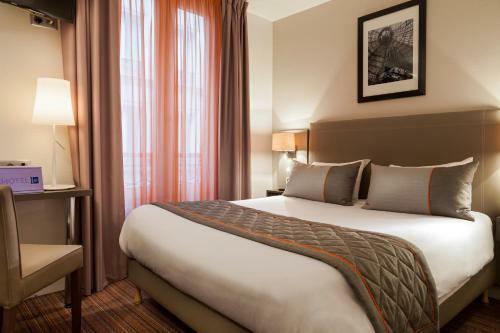 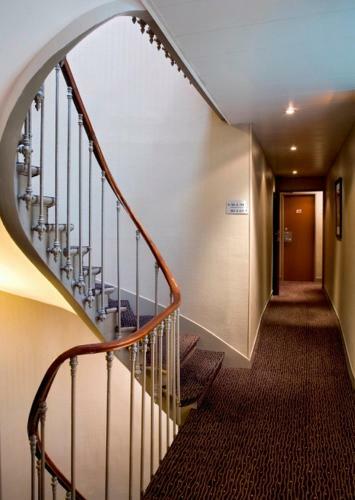 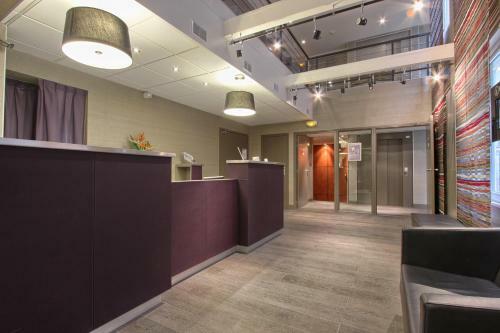 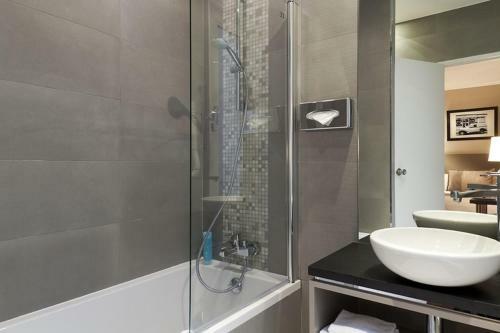 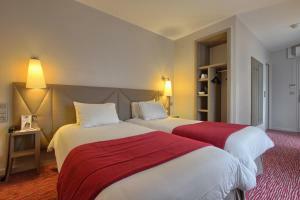 Timhotel Opera Madeleine is located in Paris next to the Saint-Lazare Metro Station. It offers air-conditioned rooms with free WiFi and cable/satellite TV. 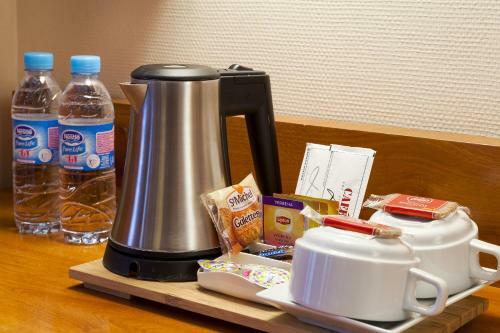 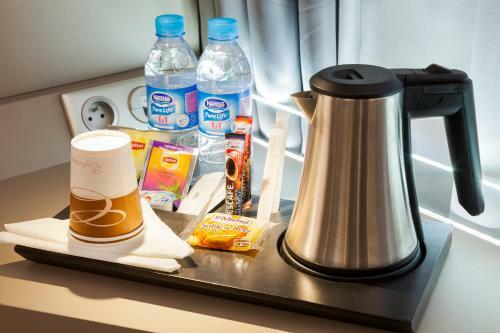 All of the rooms at the Timhotel have tea and coffee making facilities and are serviced by a lift. 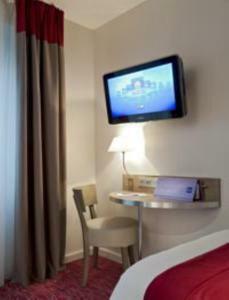 Room service is available 7 days a week from 17:00 to 01:00, and charges are applicable. 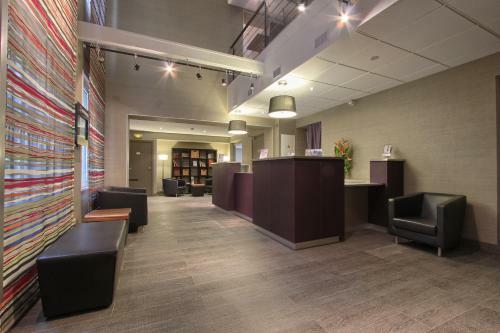 The reception is open 24-hours a day and there is also a concierge service. 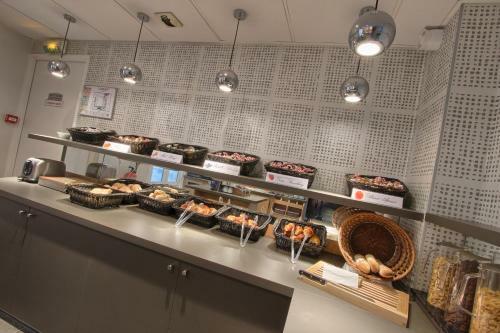 A buffet breakfast is served daily and the bread and French pastries are prepared on site. 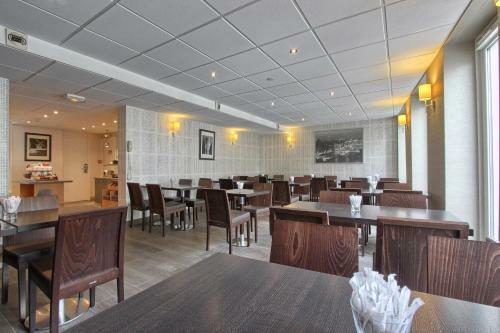 The lounge in the Timhotel Opera Madeleine offers free internet and free tea and coffee. 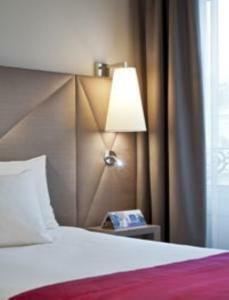 Irons are available with a deposit at reception. 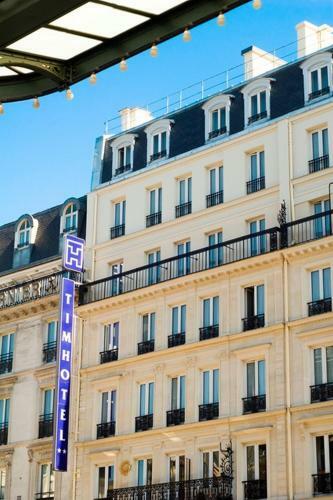 Timhotel Opera Madeleine is conveniently located in the heart of Paris’ right bank and next to the Metro station allowing easy access to sites like Place de la Madeleine, Concorde and Opéra Garnier. 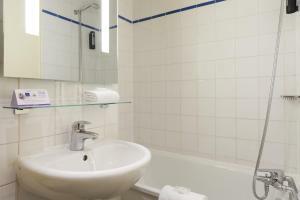 Guests can have access to a sports club located nearby at a reduced rate. 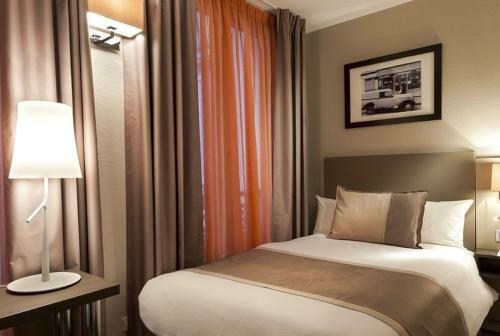 Please note that extra beds are available only upon request and according to availabilities. 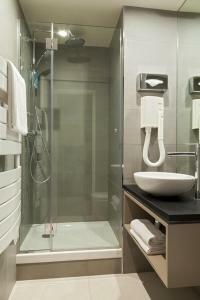 A safety deposit box is available for € 4 per day. These rooms feature free Wi-Fi access and a welcome tray. 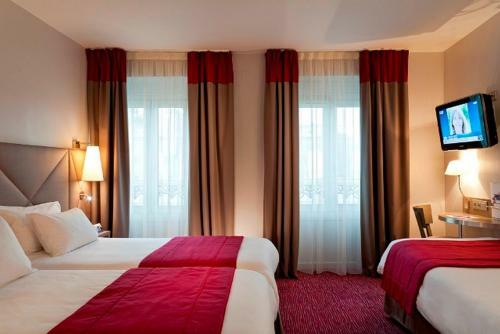 They are decorated in gray and terracotta tones with bright magenta accents. 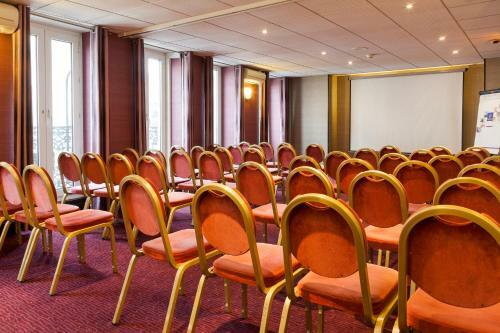 This room has capacity for up to 4 guests. 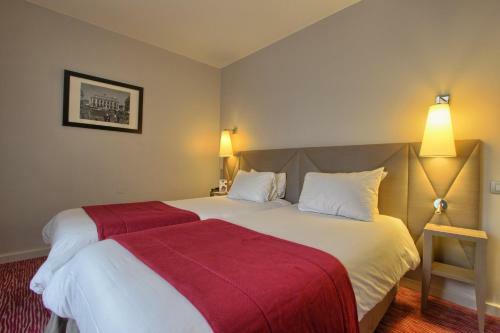 An extra bed is not possible in this room. These air-conditioned rooms feature free Wi-Fi access and a welcome tray. They are decorated in gray and terracotta tones with bright magenta accents. These rooms feature free Wi-Fi access and are decorated in neutral tones. 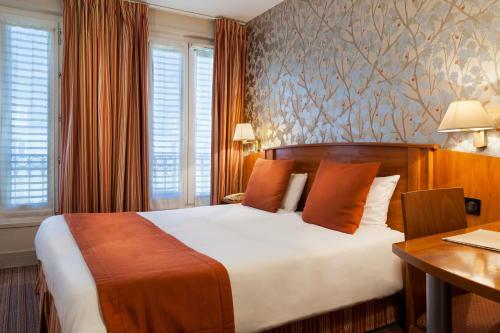 Rate: € 101.00 ... € 263.00; select dates below to get current rates.